If you're looking to sell your home quickly and for full market value, don't neglect your yard. 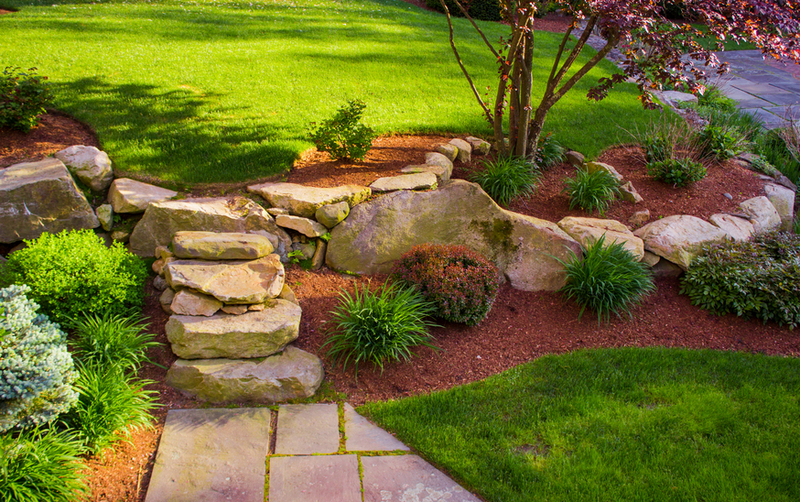 Good landscaping will show buyers that you pay attention to details and that your home is properly maintained overall. How does landscaping your yard add curb appeal and increase buyer interest? Neglecting to water your lawn leaves your grass brown and dry. Neglecting to pull weeds makes it easier for them to spread and grow. Ideally, you should water, mow and weed your lawn once a week. Commercial products can help to kill weeds while improving the health of plants and grass. Trees that are drooping or missing leaves are a red flag for most buyers. It means that the wood could be infested by insects or that it could fall over. Furthermore, make sure that the tree is not too big for the yard. Putting some flowers near the front entrance or elsewhere in the yard can add color without spending a lot of money. To add flexibility for homebuyers, you can buy potted plants that can be removed easily if necessary. Shrubs or other green plants can create shade on a hot day or add privacy to homes that are close to each other. They are generally easy to maintain and don't require a lot of water, so they could raise the value of your home. Make sure that you seal or finish any surfaces that an individual may walk or drive in. This is a good way to prevent weeds from growing in the cracks and may also prevent wood from rotting and becoming a haven for pests. A quality retaining wall both looks nice and cleanly separates vegetation from other space in your yard. It is perfect for those who like to garden but want to keep kids or animals away from the plants or vegetables that they are growing. The smallest details can have a large impact on your home's value. Therefore, it is important that everything looks neat and presentable before a buyer sees it. Remember, you only get one chance to make a good first impression, and that first impression will influence whether a buyer will make an offer for at or above list price. You might want to contact a professional from a real estate agency, like Foxfire Realty, Inc., if you have questions about a specific type of landscaping and its effect on your curb appeal.